Thanks to a unique "ballistic study" that combines data from ESO's Very Large Telescope and NASA's Chandra X-ray Observatory, astronomers have now solved a long-standing mystery of the Milky Way’s particle accelerators. They show in a paper published today on Science Express that cosmic rays from our galaxy are very efficiently accelerated in the remnants of exploded stars. During the Apollo flights astronauts reported seeing odd flashes of light, visible even with their eyes closed. We have since learnt that the cause was cosmic rays — extremely energetic particles from outside the Solar System arriving at the Earth, and constantly bombarding its atmosphere. Once they reach Earth, they still have sufficient energy to cause glitches in electronic components. Galactic cosmic rays come from sources inside our home galaxy, the Milky Way, and consist mostly of protons moving at close to the speed of light, the “ultimate speed limit” in the Universe. These protons have been accelerated to energies exceeding by far the energies that even CERN’s Large Hadron Collider will be able to achieve. 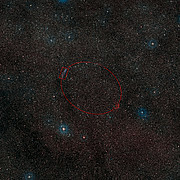 “It has long been thought that the super-accelerators that produce these cosmic rays in the Milky Way are the expanding envelopes created by exploded stars, but our observations reveal the smoking gun that proves it”, says Eveline Helder from the Astronomical Institute Utrecht of Utrecht University in the Netherlands, the first author of the new study. “You could even say that we have now confirmed the calibre of the gun used to accelerate cosmic rays to their tremendous energies”, adds collaborator Jacco Vink, also from the Astronomical Institute Utrecht. For the first time Helder, Vink and colleagues have come up with a measurement that solves the long-standing astronomical quandary of whether or not stellar explosions produce enough accelerated particles to explain the number of cosmic rays that hit the Earth’s atmosphere. The team’s study indicates that they indeed do and it directly tells us how much energy is removed from the shocked gas in the stellar explosion and used to accelerate particles. “When a star explodes in what we call a supernova a large part of the explosion energy is used for accelerating some particles up to extremely high energies”, says Helder. “The energy that is used for particle acceleration is at the expense of heating the gas, which is therefore much colder than theory predicts”. 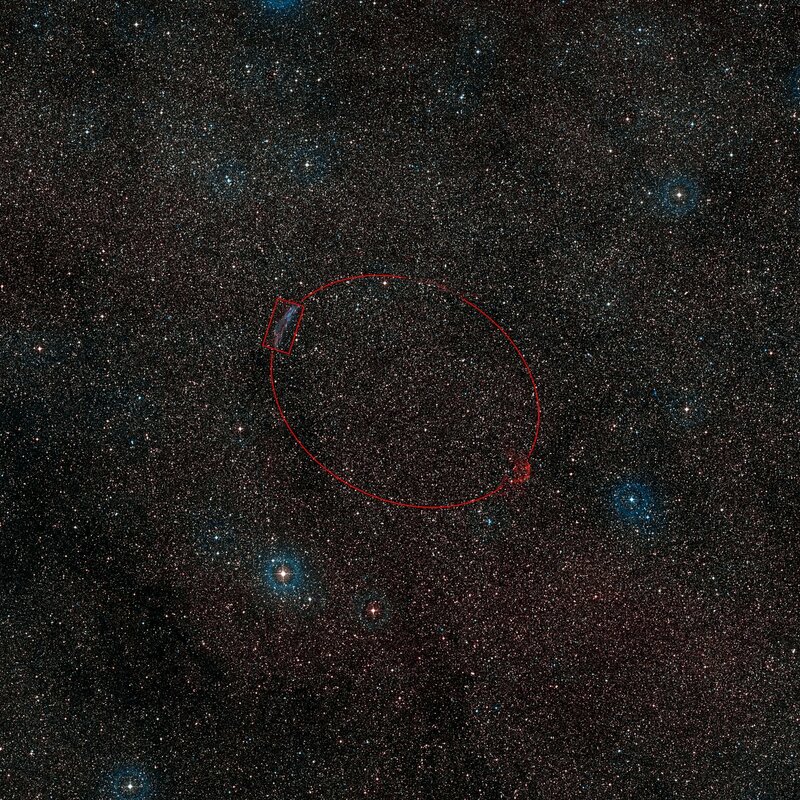 The researchers looked at the remnant of a star that exploded in AD 185, as recorded by Chinese astronomers. The remnant, called RCW 86, is located about 8200 light-years away towards the constellation of Circinus (the Drawing Compass). 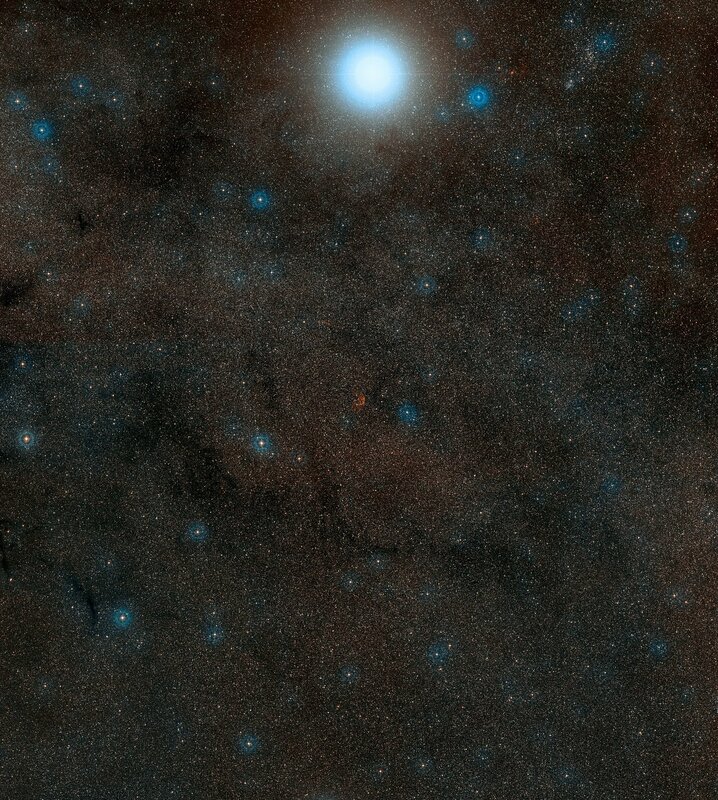 It is probably the oldest record of the explosion of a star. Using ESO’s Very Large Telescope, the team measured the temperature of the gas right behind the shock wave created by the stellar explosion. They measured the speed of the shock wave as well, using images taken with NASA’s X-ray Observatory Chandra three years apart. They found it to be moving at between 10 and 30 million km/h, between 1 and 3 percent the speed of light. The temperature of the gas turned out to be 30 million degrees Celsius. This is quite hot compared to everyday standards, but much lower than expected, given the measured shock wave’s velocity. This should have heated the gas up to at least half a billion degrees. “The missing energy is what drives the cosmic rays”, concludes Vink. 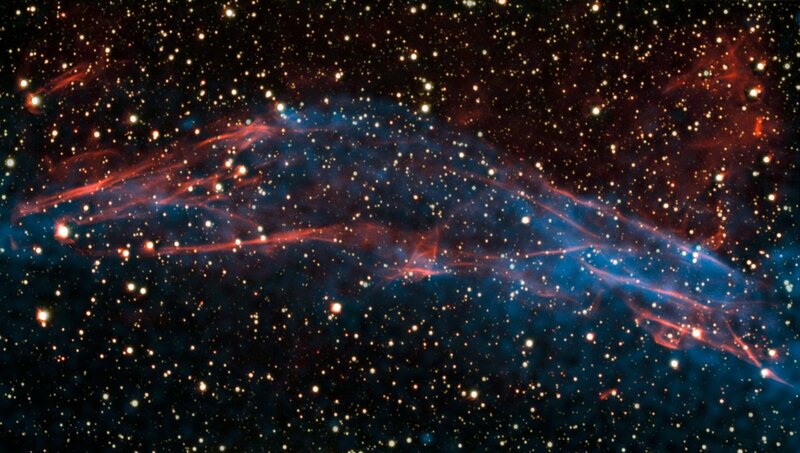 This research was presented in a paper to appear in Science: Measuring the cosmic ray acceleration efficiency of a supernova remnant, by E. A. Helder et al. The team is composed of E.A. Helder, J. Vink and F. Verbunt (Astronomical Institute Utrecht, Utrecht University, The Netherlands), C.G. Bassa and J.A.M. Bleeker (SRON, Netherlands Institute for Space Research, The Netherlands), A. Bamba (ISAS/JAXA Department of High Energy Astrophysics, Kanagawa, Japan), S. Funk (Kavli Institute for Particle Astrophysics and Cosmology, Stanford, USA), P. Ghavamian (Space Telescope Science Institute, Baltimore, USA), K. J. van der Heyden (University of Cape Town, South Africa), and R. Yamazaki (Department of Physical Science, Hiroshima University, Japan). C.G. Bassa is also affiliated with the Radboud University Nijmegen, the Netherlands.